Great service, upgraded to a two bedroom and early check in. Glen was a big help. 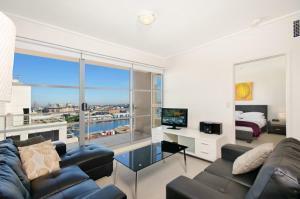 Location was excellent, great view of Darling Harbour. Location for people wanting to be in the business district was good. Also good for access to Darling Harbour and all the food opportunities there. Very modern, spacious clean apartment, with exceptional city views from both living room and bedroom windows, and superbly situated in Sydneys CBD, within an easy walk of all the well known sights. Great location, very clean flat with everything you could need. Super great at communication too. The Apartment was spacious for Sydney, the bed comfortable, and in a fantastic location. We had a view out over the City, which increased the feeling of spaciousness. Excellent location, very spacious apartment, reasonably priced. Excellent location, easy access to train station, buses, harbour and ferries. Really great apartment for our ten night stay, lots of space in the apartment and lots of storage space. The fittings were modern and had a nice balcony which looked out to the front elevation. All the appliances you would need and a nice bathroom with power shower. There was a gym and pool on site which we didn't use but seemed great. The location felt secure as access to the building was via fob. 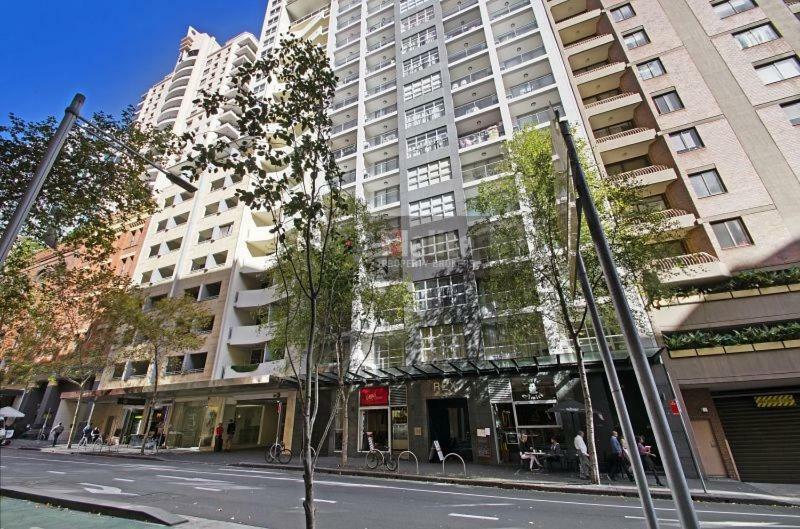 Just minutes walk from Darling Harbour and we would certainly look to stay here again. Check in was easy and the process of dealing with the company was always easy. 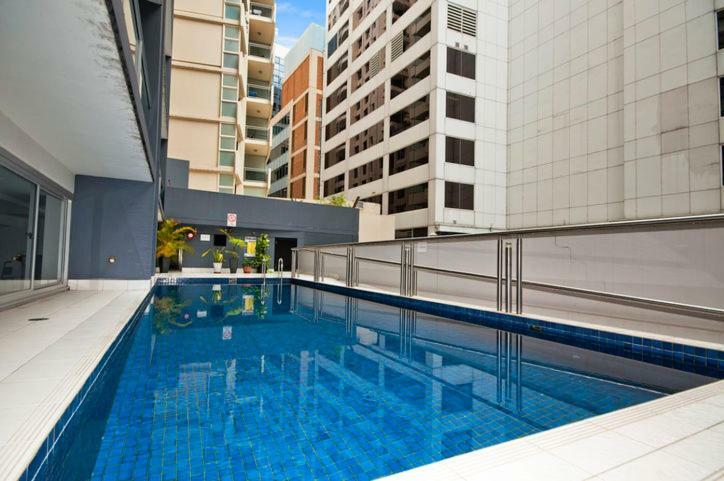 Lock in a great price for Astra Apartments Sydney – rated 8.9 by recent guests! 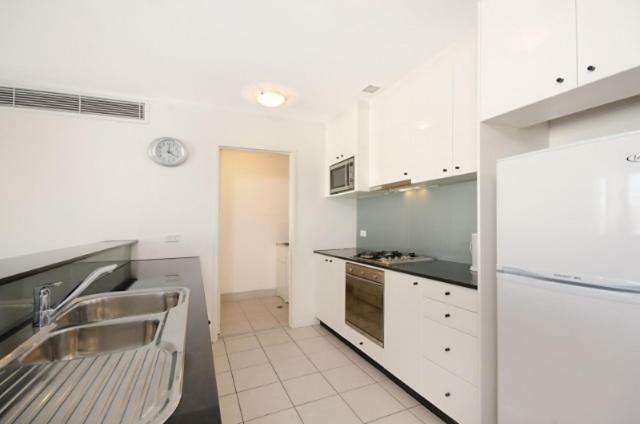 Astra Apartments Sydney This rating is a reflection of how the property compares to the industry standard when it comes to price, facilities and services available. It's based on a self-evaluation by the property. Use this rating to help choose your stay! 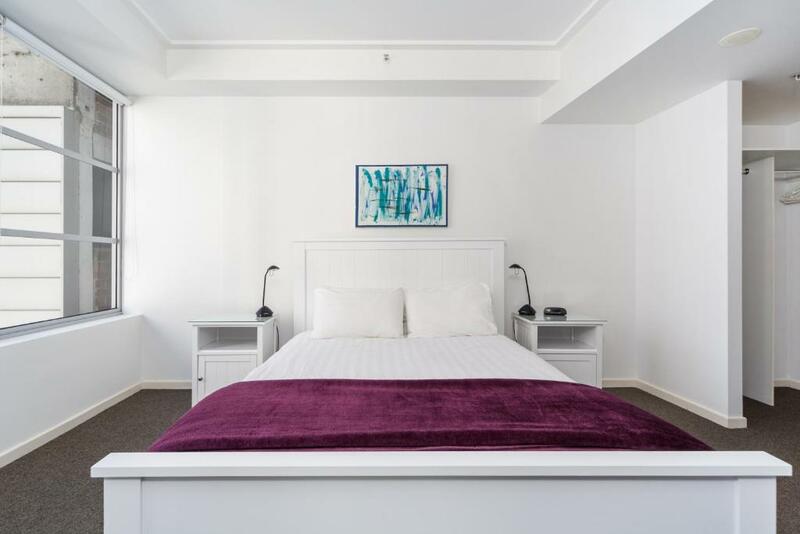 Astra Apartments Sydney offers self-contained accommodations in Sydney CBD (Central Business District), with free WiFi and a fully equipped kitchen. Within 5 minutes' walk of Darling Harbor, and 15 minutes’ walk of both Town Hall and Wynyard Train Stations. The property offers an outdoor pool and a fitness center. Each apartment offers a lounge area with a sofa, a DVD player and a flat-screen TV. There is a dining area and laundry facilities are provided. 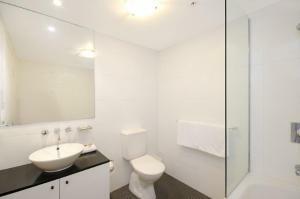 Your private bathroom offers a shower, free toiletries and a hairdryer. 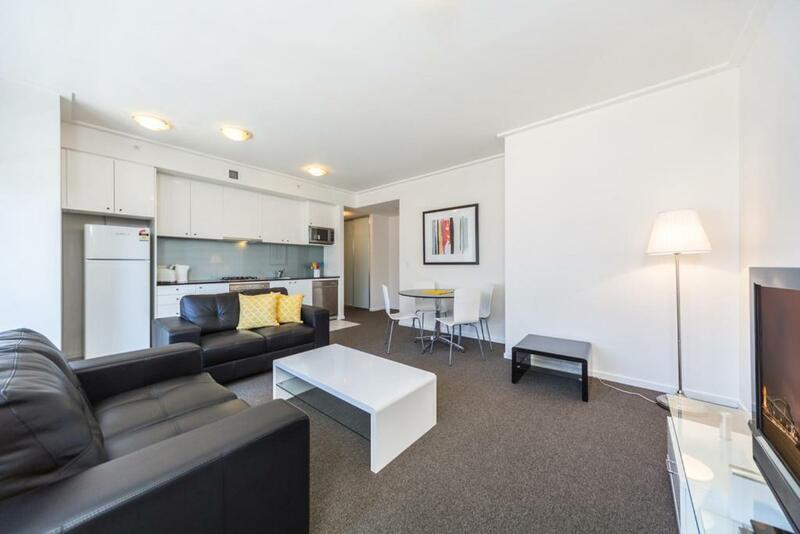 Sydney Astra Apartments are a 10-minute train trip from Circular Quay, the Sydney Harbor Bridge, The Rocks and the Sydney Opera House. When would you like to stay at Astra Apartments Sydney? 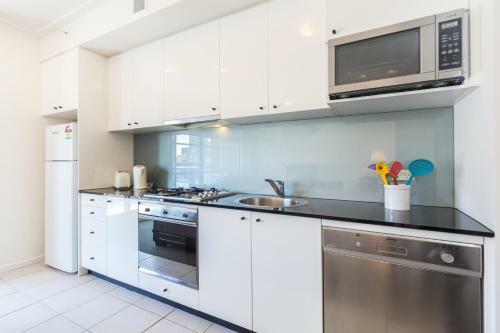 This apartment features a fully equipped kitchen, laundry facilities, 2 separate bedrooms and a lounge area with a flat-screen TV and a DVD player. Guests enjoy views of Sydney city. This apartment features a fully equipped kitchen, laundry facilities, and a separate lounge area with a flat-screen TV and a DVD player. Guests enjoy views of Sydney city. House Rules Astra Apartments Sydney takes special requests – add in the next step! Any additional children or adults are charged AUD 20 per night for extra beds. Astra Apartments Sydney accepts these cards and reserves the right to temporarily hold an amount prior to arrival. Please let Astra Apartments know your expected arrival time in advance. You can use the Special Requests box when booking, or contact the property using the contact details found on the booking confirmation. Please inform Astra Apartments Sydney of your expected arrival time in advance. You can use the Special Requests box when booking, or contact the property directly using the contact details in your confirmation. Was told it had air conditioning which it did in the living room but the bedroom had a fan on the floor, no air conditioner. It was very stifling to try and sleep in. We left early for other accommodations that had air conditioning thru out the place. The bathrooms were well below standard. Dirty (and mouldy) tiling around the bath/shower and on the floor; no extractor fans. Kitchen equipped with only ONE teatowel, no hand towel, no kitchen roll, no washing up liquid. Only 2 toilet rolls provided for an entire week in a 2-bed apartment. Had to request clean, unstained, towels (which management promptly provided). Apartment was cleaned before our arrival but not cleaned again until after our departure. Also - very importantly - the building behind is being refurbished, therefore continuous, extremely loud noise (and dust) from early morning and throughout the day. Could not sit out on balcony during the day due to that and we felt we should have been warned in advance of the noise as we would have booked elsewhere. Nothing really. All good with everything you need for your stay. Location, cleanliness and size of apartment. Excellent facilities as well. Location.Very good interaction with hosts. Staying in Sydney is always costly, however the price we paid was competitive. The toaster was broken, when we advised our host, it was replaced same day with a new one. We had a small glitch with the Aircon remote control, it was possible to get the air con working, however a replacement air con remote was ordered and provided, which worked perfectly from that point on. Great location and great size. Bathrooms dated. One had a bad smell from the drain. The hosts went out of their way to help me out.